Another gorgeous element of the external temple finishing work are the peacock brackets. 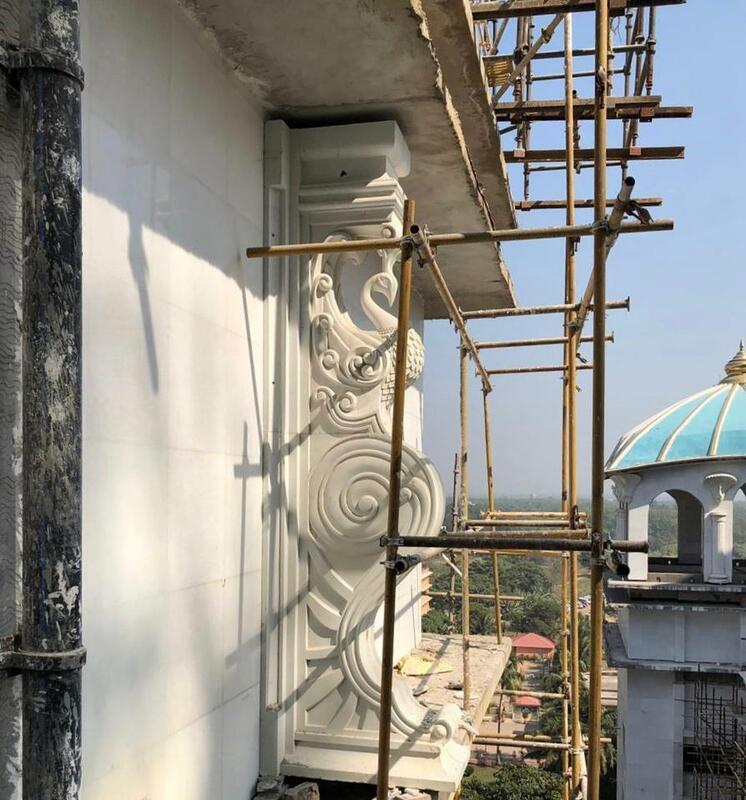 Each of the eight Chatris will have 29 peacock brackets installed underneath them for a total of 232 brackets, and will create a beautiful ornamental appearance like a diamond ring surrounded by precious stones. The photo shows one such bracket after being installed to give you an idea of its beauty, size, and position.